Sadly, in this modern age countless people have fallen into the deception of thinking there are many roads to heaven. In reality, The Lord Jesus Christ alone is the Way, the Truth, and the Life; no man comes to the Father but by Him. Dr. Bailey has sought to enable us to victoriously contend for our faith by proving the infallible glorious truth of Holy Scriptures with Scripture itself. 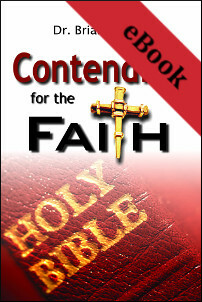 This anointed book will place such a burning desire in your heart to study the Truth, and be so well-grounded in it, that you will stand strong in the faith, even in these last days. Know the Truth, and then lead others to know the Truth that they too might have life, and life everlasting.